Flammable materials and vapors present a significant risk of fire for many industrial processes and environments. 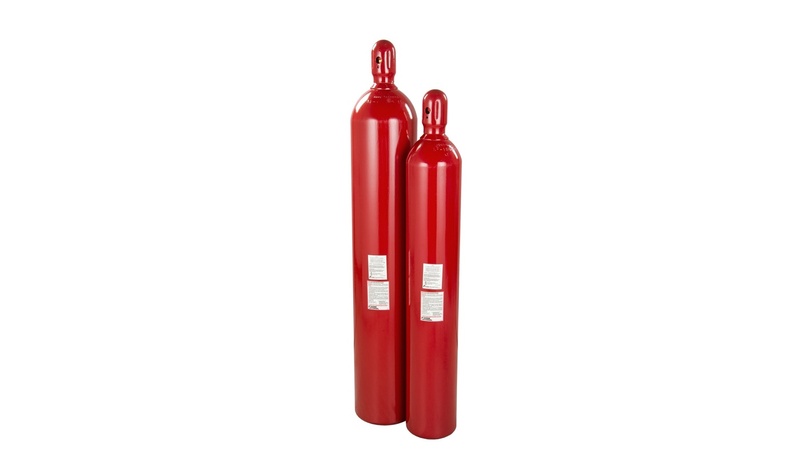 The Kidde Carbon Dioxide Suppression System was designed to provide complete fire protection for a wide range of challenging applications from printing presses and generator enclosures to dip tanks and commercial fryers. Carbon Dioxide delivers clean, dependable suppression in seconds, greatly reducing the loss of assets, productivity and revenue associated with a fire-related business interruptions.The Kidde Carbon Dioxide System utilizes highly sophisticated electric and/or pneumatic detection units which sense fire at its inception – immediately alerting the control system. The Control panel initiates the release of Carbon Dioxide from the system cylinders. The suppressant is delivered through a fixed piping network with specially designed nozzles – providing rapid, automatic fire protection around the clock. Why Choose a Kidde Carbon Dioxide System? Superior Suppression. Carbon Dioxide (CO2) is a colorless, odorless, electrically-nonconductive gas whose density is approximately 50% greater than air. A Kidde Carbon Dioxide System suppresses fire by providing a blanket of heavy gas that absorbs heat from the fire and reduces the oxygen content of the atmosphere to a point where combustion becomes impossible.Damage-Free. A naturally-occurring Atmospheric element, Carbon Dioxide dissipates into the air allowing an almost immediate return to “business as usual” without the interruption of a costly clean-up and the expense of damage to assets from suppressant residue. This results in fewer repair costs and reduced downtime.Design Versatility. Because Carbon Dioxide is an ideal suppressant for a wide variety of industrial applications, Kidde offers three system configurations to efficiently protect different hazard types: Total Flooding-ideal for enclosed hazard areas, Local Application-used to protect a specific hazard area in an open floor plan, or a Local Hose line-cost effective protection for fighting smaller fires throughout a hazard. Design Versatility. 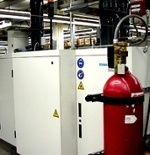 Because Carbon Dioxide is an ideal suppressant for a wide variety of industrial applications, Kidde offers three system configurations to efficiently protect different hazard types: Total Flooding-ideal for enclosed hazard areas, Local Application-used to protect a specific hazard area in an open floor plan, or a Local Hose line-cost effective protection for fighting smaller fires throughout a hazard.